This exquisite Georgian masterpiece in one of Seattle�s most desirable locations has been tastefully updated for modern comfort with its historical charm intact. The open kitchen/sunroom has a glass wall that opens to 1,000 sq ft of view decks. Generous, warm spaces make this home perfect for entertaining. Features include an elegant en-suite master, large bedrooms, remote controlled gate for dry access to 2 car garage and a professionally landscaped Secret Garden to serve as your private oasis. Adorable cabin w/ a PRIVATE ISLAND (w/ 4 bdrm septic installed + cabin) + additional lakefront parcel on Lake St. Clair! Live at the lake's edge, boat or swim over to your own magical retreat of almost 4 ACRES! The opportunity to build your dream cabin in seclusion, yet close to town awaits! OR enjoy the undeveloped old growth timber & walking trails. Cabin on the mainland is the perfect retreat, w/ newer windows, updated floors & super cozy propane fireplace. AMAZING opportunity w/ 3 parcels. Be a part of Olympia's first downtown, luxury condos. Spectacular panoramic views of downtown, mountains, Capitol dome, Sound & marina. Views from every floor located at Percival Landing. Step less living, secured 2 story parking w/storage & generously sized balconies to enjoy your view. 28 units offering upgrades from wood flooring to heated master floors, s/s appliances, quartz & large kitchen islands. Urban community opening early 2020. Restaurants & local businesses right out the front door! Wonderful opportunity to own this great piece of property! Two tax parcels total approximately 46,480 square feet. Located within the Issaquah School District. The home on the property is move-in ready and features 2 bedrooms, 1 bathroom, large, bright living room with picture window. Kitchen adjoins dining room. Sliding glass door to covered entertainment patio and beautifully landscaped backyard. Lots of possibilities for this property, bring your dreams! 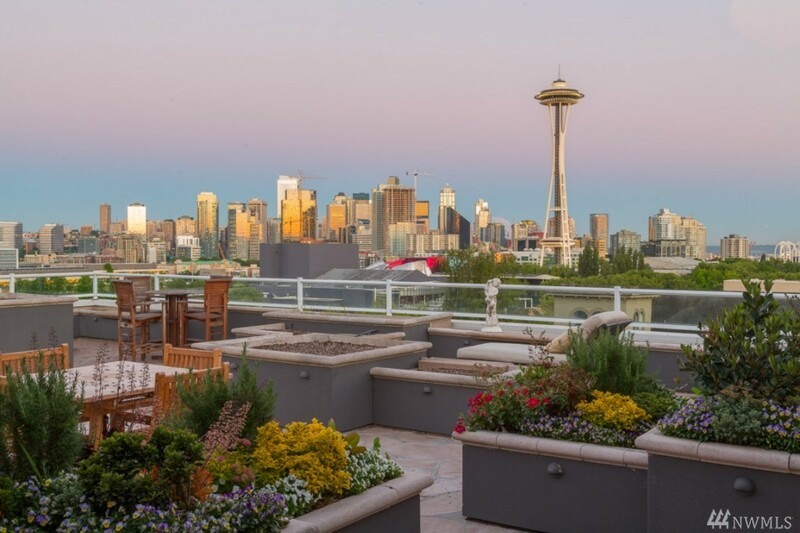 The Signature Place Penthouse...One of Queen Anne's best kept secrets, veiled in the heart of Seattle. Spanning the entire top floor, the elevator doors open to natural light emphasizing marble floors, hand-crafted accents and breathtaking views. Featuring a generous 3,500+ sq ft. floor plan including an impressive master suite, four baths, private boutique building in one Seattle's best locations. Private 2500 sq ft patio. A unique home for a privileged few, a property that is sure to impress. An estate worthy of the most selective portfolio. Elegantly embracing harmony with the earth, sky and water, Lakehaven rises above a lushly landscaped 1.6 acre parcel on 105 feet of Lake Washington. A private road leads to the 10,000 sq ft modern hone with stunning glass cabana, 25 meter pool and the largest dock and boathouse on the lake. 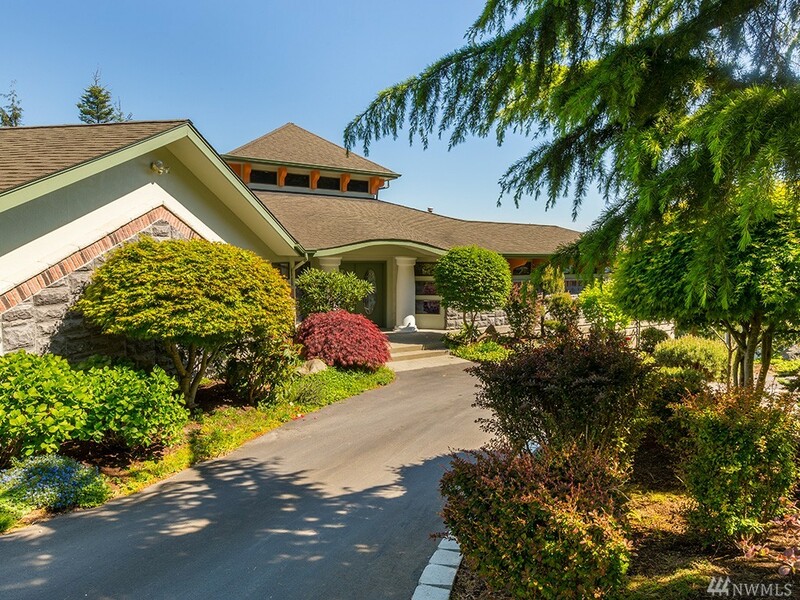 Built to commercial standards with state of the art technology this is an ideal enclave for those seeking a retreat only 15 minutes from downtown Seattle. Enjoy sweeping, jaw-dropping views seen from every room on the 23rd floor. This high-end 2 bed is perfect for entertaining and sure to impress, don't miss one of the best investment opportunities in the U-District with NO rental cap! Similar to new construction; 100% new throughout, including marble like Quartz counters, hardwoods, custom cabinets, stainless appliances. Top of the line A/C and heat system included in HOA dues with electricity. Walk to UW & future light rail, minutes to Downtown. The BEST of Green Lake. Florera is LEED Silver certified in the nexus of the neighborhood's vibrant lifestyle amenities. Stroll to Greenlake Park, trails, PCC, yoga, restaurants, more. 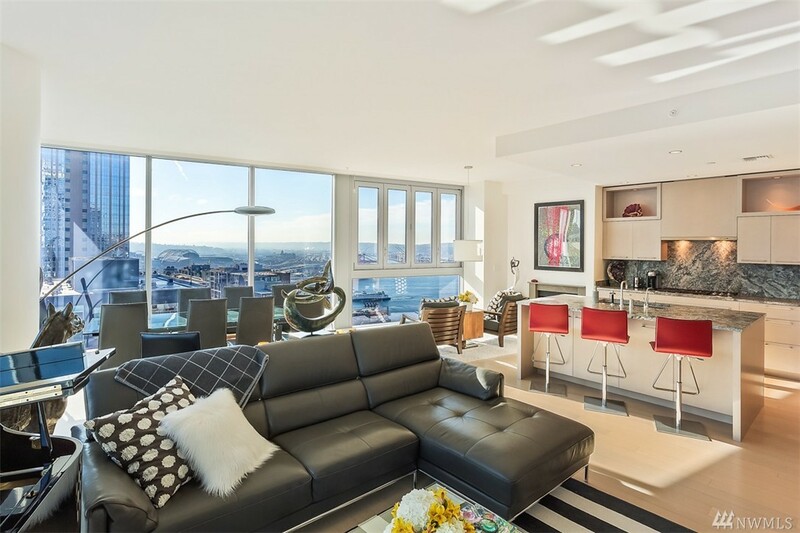 Gorgeous 2Bed unit features open living & kitchen floor plan with upgraded contemporary flair. Gorgeous cabinetry, stainless steel appliances, 180� curve-around counter top, & Balcony overlooking courtyard. Master suite boasts a walk-in closet & tiled bathroom. Bldg w/courtyard, rooftop deck, & secure lobby. A/C! Outstanding and rare development opportunity! Level lot zoned LR3 within the Urban Village overlay. Property goes street-to-alley. Location is rich with transit; adjacent projects have not been required to provide on-site parking. Perfectly located within steps to the best Capitol Hill has to offer: parks, shopping, healthcare, restaurants & just a short walk to Link Rail. Existing home is easily rentable while you get your design and permits approved or ask re flexible possession/closing terms. Contemporary new construction in great central location with convenient access to light rail, Seward Park and Columbia City amenities. Emphasis on an open, flexible floor plan with clean design lines, simple elegant finishes and integrating indoor/outdoor living spaces. Main level boasts a remarkable 800 +/- sq ft entertaining deck off of the great room: your's is the place to gather! Hardwoods, quartz, SS appliances, porcelain: everything you want to find and unique extras. Heat pump/AC option. More than $1,000,000 less than assessed value! Rare opportunity to own a 4-lot short-plat, with @ 2.78 acres of no-bank waterfront along Guemes Channel. 200 feet of sandy beach w/tidelands, existing marine railway and pond. Build four homes, or use as one estate-sized property. Sloping southern exposure with large rise for sunny homes and gardens, w/southwestly views. There are very few large, cleared, build-able waterfront parcels left on Guemes Island left. A gem! The Sharpe floorplan is a 3 level home with open concept great room, kitchen & dining areas. Beautiful finishes of granite & hardwood. Master suite, 2nd BR/study & laundry finish up the main level. Deck off the great room, patio off the dining area. Upstairs you'll find 2 add'l BR, a full bath & family room. Downstairs is a 4th BR, full bath & access to the expanded 2 car garage. Many upgrades! Fully landscaped & irrigated. With 5% down, there's still time to choose your finishes. Beautiful home overlooking greenbelt, adjacent to Hutt Park,view of the Sound.Spacious Master Suite/sitting room/lg Master bath/ heated tile floors. LR/gas fireplace. Gourmet Kitchen/granite/stainless appliances/marble/hardwoods. Lower Level has bonus room/wood burning fireplace,office/den,three quarter bath,bedroom, utility room. Lower Level could easily be MIL.Is commuting a part of your life? 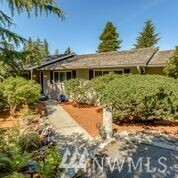 This home is close to Sounder, Light rail and Transit. Great School dist. Close to downtown Edmonds. 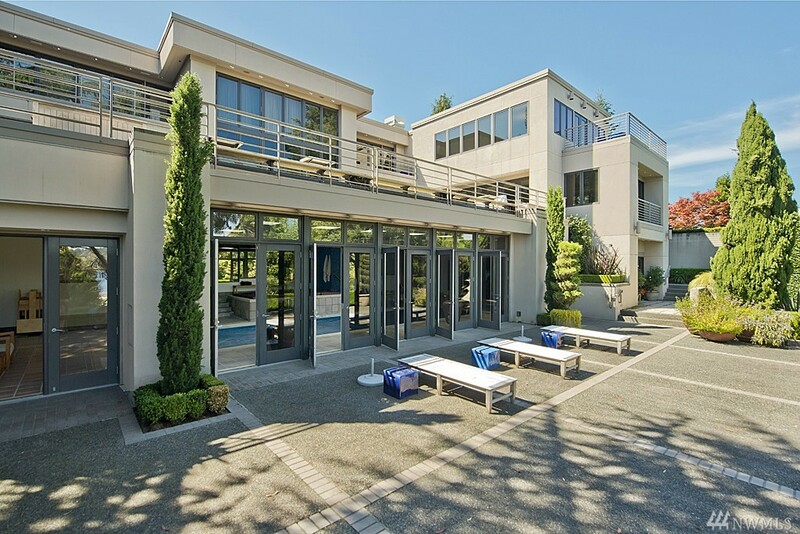 Spectacular SE Views over Bay & Cascades from this Contemporary home on 2.5+ Acres. Located in the �Deception Pass Estates�, this home is immaculately maintained w/beautiful finishes. Panoramic views for exquisite sunrises. Dramatic entry of marble & columns with open concept Great room, Kitchen & Dining w/ deck access. Master wing opposite guest wing w/living areas in between. Great Laundry w/Office & Butler�s Pantry. Lrg crawl space w/cement floors for storage.4 Lots total on private drive. Welcome to this custom built meticulously cared for home. First time on the market, ready for you to continue the great memories created here. Some remodel, but some original charm. New quartz counter, luxury plank floors, carpet, vinyl windows, newer roof. Shy 10 acres enjoy tranquility & privacy. An additional shy 10 acres available next door, keep parcel for privacy or build on. 2nd kitchen for entertaining. Attached garage & detached 1800 sq ft 3 car garage & shop. Mountain views. Must see!! Brand new contemporary condos built atop one of Seattle's most historic masonry buildings with high-end finishes. Amenities include Fitness room, wine & bike storage and full time concierge. 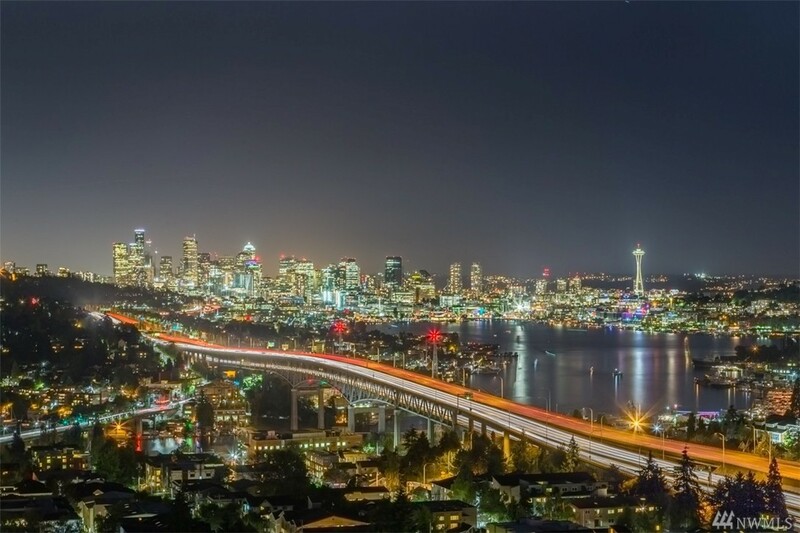 Gridiron is just a short distance to Seattle's new and upcoming waterfront park, Pike Place Market, shops, stadiums and restaurants. Spectacular rooftop views of the City, the Mountains and the Sound. Gridiron has a Walkscore of 95 and Transitscore of 100! All this in the heart of Pioneer Square! 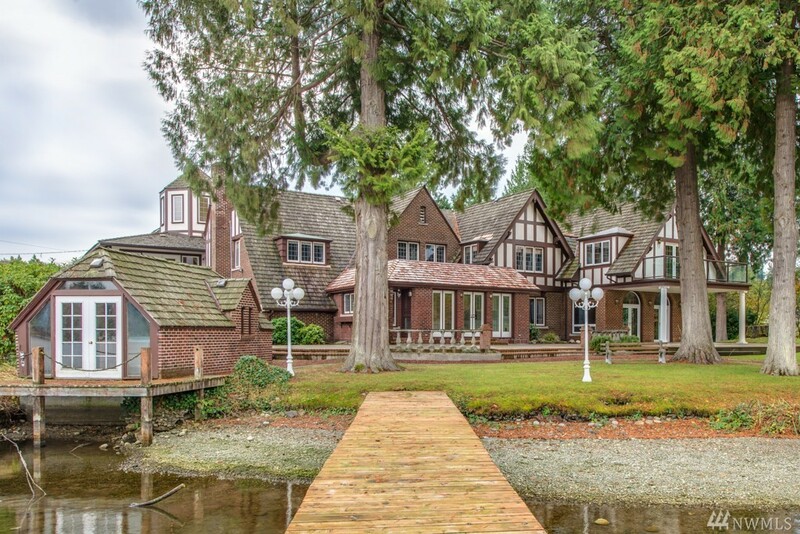 This Historic beautiful brick Tudor, steeped in romantic ambiance & highlighted with old world elements, is perfectly positioned on your own Steilacoom Lake Peninsula. Gracious living room with adjoining Sunroom/Ballroom w/access to the beautifully landscaped park-like grounds. Special features include: Library w/fireplace, extensive remodeled kitchen w/family area, studio apartment over garage, window gazing turret, and gated circular drive with 3 car garage. 7 Bedrooms/3.75 baths, 7000 sq ft.